Cellular drift eliminator | steady tower is a specialist provider of cooling tower services for all industries. Cellular drift eliminator modules are constructed of a series of sinusoidal-shaped, corrugated, PP sheets that are assembled to mating sinusoidal structural waves to form closed cells. 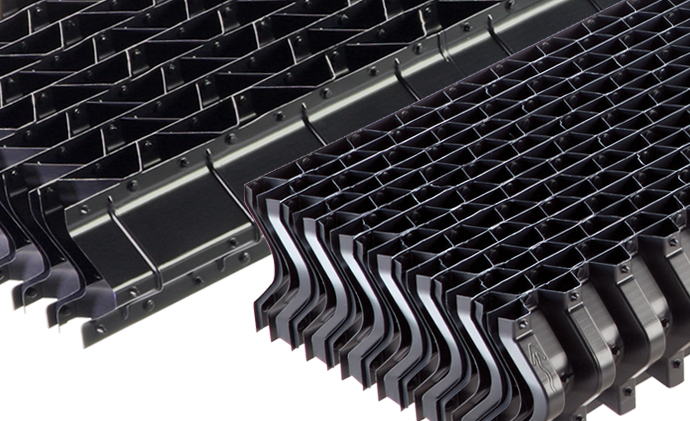 Drift eliminator modules can also be used as air inlet louvers.